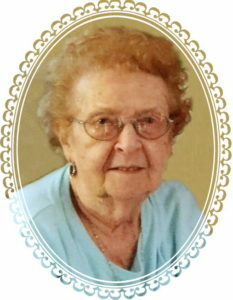 Sophie Wynn (nee Whyte) passed away peacefully on Sunday, December 2, 2018 at Ocean Medical Center in Brick, NJ at the age of 93. Sophie Wynn was born in Rosebank in 1925. She later moved to Bulls Head and in 1958 settled in Port Richmond. She graduated from New Dorp HS in 1943. Sophie worked at St. Joseph by the Sea H.S. for over 30 years as a bookkeeper and retired in 2001. She loved to travel, take cruises and also bus rides to various places. She was also an avid reader. Sophie was predeceased by her husband, Edward Wynn in 1986 and her sons, Thomas in 2013 and Edward in 2017. She was also one of 7 children, predeceased by Eleanor Feniello, Mae Rafalsky, William, John and Walter Whyte. She is survived by her sister Pat Caterina and her three grandchildren, Edward, Fanny and William. Funeral will be held at Cherubini McInerney Funeral Home on Friday, December 7, 2018 at 11:00am. Mass of a Christian burial will be at Holy Family R.C. Church at 11:30am followed by a burial at Moravian Cemetery. Family and Friends are invited to view on Thursday from 2-4pm and 7-9pm.